During the Roman Empire the town of Montepulciano was called Montemercurio and this is where this estate derives its name from. Mercury [Mercurio] was known as the messenger of the Greek gods and a temple to him was dedicated nearby. The current owners are Paola Luciani and her son Marco Anselmi but Marco says the entire project is a dedication to his dear grandfather, Nonno Damo Anslemi. 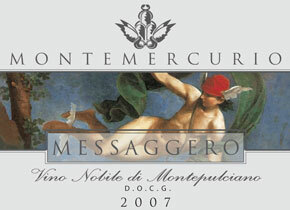 The Montemercurio vineyards sit on ideal SW exposures at altitudes up to 450 meters. On 7 hectares of land a little more than 30k bottles are produced annually. The vines are as old as 65 years and only estate grown hand harvested grapes are used. Though not certified organic at this time every effort is made to make their wines as natural as possible. Only local native yeasts are used, with minimal to no filtration in order to preserve the wines truest expression and purity of the fruit. In general the wines are aged in large Slavonian oak barrels but first go through the traditional long maceration and fermentation of years past. 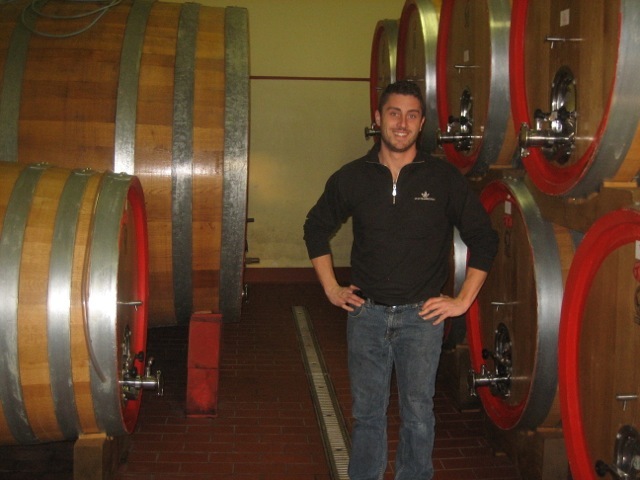 Though modern technologies are in place throughout the cellar, the past is always what guides Montemercurio. Average age of vines: 50 years Elevation: 450 mtrs above sea level Exposure: South westerly Soil: medium density with plenty of clay Grape variety: white malvasia, white canaiolo, pulcinculo, Tuscan trebbiano and Sangiovese Yield per hectare: 3,000 Kgms per hectare Serving temp: 10-12 degree centigrade Alcohol: 15,5 % Description: An amber yellowy colour with orange specks, complex on the nose with traces of dry fruit, fig, peel of candied orange and honey. Persistance on the tongue with a sweet persistent finish but with a fresh pleasant acid flavour which make it perfect for some special dishes. Fermentation: selected by hand in the vineyard, the grapes are carefully storedin an aired room where they are let for at least 3 months, till the beginning of January next year; after pressing, the must is then transferred to oak, chestnut tree and cherrytree casks. Maturation: 25 years in casks Cellaring: At least 6 months in bottles Bottles produced: 992 Out of ordinary schemes, best served with dishes such as foie gras, cakes with a great presence of chocolate and some spicy herbed or blue marbled cheeses. 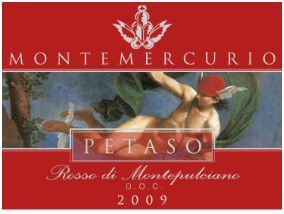 Like all the Montemercurio wines this Rosso di Montepulciano 'Petaso' is made by a modern producer but in an 'old school' style. Wild natural yeast fermentation, minimal filtration, no clarification and aging in large Slovenian oak barrels give this wine an expression all its own. 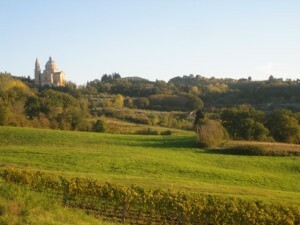 Vineyards sit at some of the highest altitudes in the Montepulciano zone at 450m asl on about 10 hectares. 10 year old vines on mostly clay soils. Estate grown and hand harvested fruit. 95% sangiovese 5% merlot Aged 16-18 months in large oak barrels. 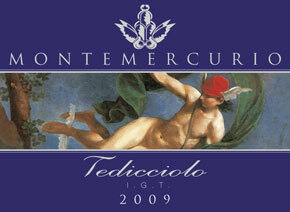 Total Montemercurio estate production about 30-35k bottles annually. 100% Sangiovese grapes. Estate grown and hand harvested the grapes for this wine are grown at altitudes of over 1500 feet above sea level where the cooling night time temperature change provides the complexity for this elegant wine. The wine is fermented with local native yeasts and there is no clarification and minimal filtration to preserve the expression of terroir. After careful grape selection a long maceration is followed with at least 18 months in large barrels [40 hl] and then 6 months in 10 hl barrels. Messaggero will spend at least 12 months in the bottle before it is released. 80% Sangiovese, 15% Merlot and 5% is a local field blend. 100% hand harvested and estate grown fruit. Natural local yeasts, minimal filtration and without any clarification give this wine its own identity. The grapes, coming from our younger vines are vinified separately after first undergoing a 15 days maceration. Malo is done in Slavonian oak barrels and then the wine is aged for 12 months and when ready will spend another 8 months in the bottle before it is released. 'Tedicciolo' named for a famous ancestor is excellent with meats, pasta dishes, pizza and medium aged cheese.